This year, Google has launched two smartphones of different sizes. This is the main difference between the two Pixel smartphones. The Mountain View business’ objective is clear: to seduce the public. Next to the Pixel, we have the Pixel XL that aims to rival the best flagships in the market. Let’s compare the Google Pixel specifications with those of Apple’s iPhone 7 Plus, Lenovo’s Moto X and LG’s V20. Google Pixel XL is definitely one of the most attractive smartphones created by Google. The smartphone has been designed from top to bottom by the American giant to compete with the market’s shining stars. The companies’ ambitions are daring and the prices are similar to the those of the most popular smartphones of the moment. Of course, it’s difficult to form a definite opinion by only reading technical data sheets, if at all. The majority of phones have the same screen definitions, the same battery capacities or even the same cameras. However, in my opinion, Google Pixel stands out from the crowd of Android smartphones in many ways. It’s the only smartphone to offer the latest Android updates upon release. Google Pixel, in my opinion, stands out from the crowd of Android smartphones. Google Assistant, despite being a little premature at the moment, is already proving to be superior to Siri, Apple’s intelligent assistant. It’s also interesting to note that Pixel XL offers an exclusive launcher, the Pixel Launcher. Finally, Google Pixel XL was developed with virtual reality in mind and works hand in hand with the new Daydream VR virtual reality headset. Google Pixel XL: a future success? In any case, it’s still too early to confirm whether Google Pixel XL will bowl over the competition and become as popular as the Nexus 5. For starters, the price isn’t the same and availability is still limited to a few countries. 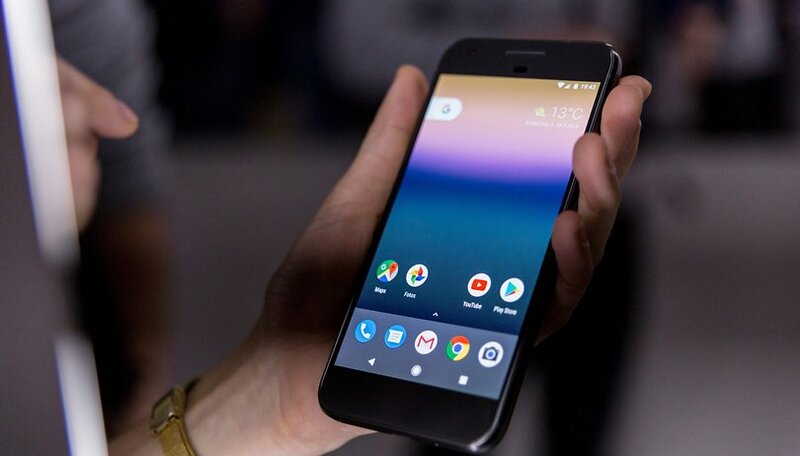 However, Google Pixel XL has its advantages: design, technical specifications, software updates, 24/7 customer support. In Europe, there isn’t as much competition in the Android market. LG refuse to sell their V20 in Europe. Lenovo tries playing the nostalgia card with their Moto Z. The iPhone 7 is the only one that seems to have the ability to overshadow Google Pixel XL, however, their target markets aren’t the same. What do you think of the Pixel XL? Leave a comment to let us know your thoughts and opinions. I'm fairly certain that the iPhone and Pixel both do not support aptX, but the iPhone does support AAC over bluetooth. Article has errors. The iPhone is iP67 not iP57. Big difference! Second, for those who don't know, ip53 is not "water resistant". It basically means if you spit on the phone the wrong way it could get damaged. Pixel is basically in the same class of "water resistance" as the other 2 Android phones compared or almost any other android devices Except Samsung's S7 note7, and S7 edge. Hi Marlon, thank you for pointing out those errors. Thank you! You are right, the iPhone is iP67. I removed the ip53 from the specs table for the Pixel as to not confuse anyone as well. After further researching into the water resistance of the Pixel, it is said that ip53 means that it would be resistant to rain but only if held at a 45 degree angle. No problem. My last comment and I will go away :-). All android phones in 2016, if not most have USB type C. That includes the Moto Z and LG, not just the Pixel. It's definitely premium, but currently I think the Pixel XL is overpriced by $200.. I'd be more than happy with a really nice plastic construction..
plastic can be just as sophisticated as alloy and glass, but also cheaper and lot more practical.